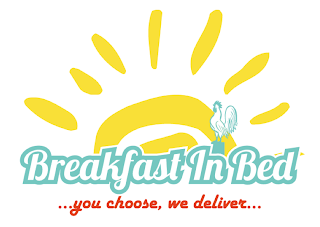 Review provided by Dee O.
I was introduced to Breakfast in Bed by my sister one Sunday morning during the Christmas break, when our house girl was away and everyone was too tired to cook. Breakfast in Bed is a breakfast delivery service that delivers to Lekki, Ikoyi and Victoria Island. They have various menu options including the Continental, the American- which consisted of eggs and waffles, and the Nigerian- which consisted of yam and eggs, to name a few. My mom and I got the Nigerian, while my sister got the American. The food comes in foil plates and costs around 2k5. Sandwiches cost around 1k/1k5. I ordered via phone and the person who answered was extremely courteous and friendly. Once he found out I was calling for the first time, he took the time to find out how I had heard about the service and thank me for my business. I also found a choice included in my sister’s order and he called me back to clarify. Nigerian customer service is mostly hit or miss, but I really appreciated the service. The food came in about 30 minutes, pretty good in my opinion and was pretty tasty. I particularly liked the eggs. My biggest complaint is that we were supposed to get free juice with the order and only one cup of juice was brought for 3 orders. I’m not sure if that was a mistake or not, in any case, it made no sense to me. I am not sure it is acceptable that none of the numbers on your website is unreachable. This is a business. As long as it is within your business hours. You should have someone manning the lines. I am really disappointed as a first time customer. I see this in a lot of businesses in Nigeria. So why put the phone number in the first place? Its so great, but do they only deliver on the island, isn't there anything like that on the mainland.